Hi! My name is Alfredo. I transitioned from Waypoint to Beacon House January 2017. Living at Beacon has been great! I am able to be independent in my daily activities such as doing my own laundry and hygiene, making my bed, and making coffee. I help the staff with baking, and I enjoy helping my housemates and staff with their technology needs. I have my own “office” at Beacon where I can also do my shredding if I want to. 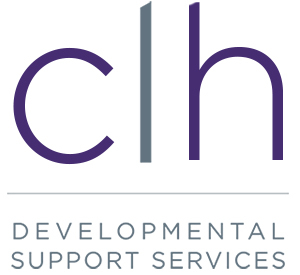 For the year and a half that I have been involved with CLH I have been able to do tons of fun activities and I have been able to explore the community, and have secured volunteer placements. Some of the activities that I’ve been able to take part in are; going to Wonderland during the summer as well as Halloween Haunt in the fall, playing Laser Tag at Retro Planet, going to Pumpkinferno, Abbamania, Bat Out of Hell, The Toronto Zoo, Harlem Globetrotters, and countless trips to the Galaxy to see some of my favorite movies. I really enjoy my volunteer placements. I get to go to CAPS on Fridays to help in the kitchen, and I go to do shredding Mondays and Wednesdays at the Olive St. and King St. locations. I also go swimming at Waypoint twice a week, and participate in Special Olympics Bowling and Curling Leagues throughout the winter. In the summer I enjoy attending Lawn Bowling and Bocce ball. Overall, life for me living within Community Living has been awesome. I love being able to explore the community, meet new people, and socialize with all the friends I have met at CAPS.